Out with the old and outdated, here comes the new look you've been dreaming of. There’s something about modern architecture and design that some people just can’t get enough of. If you’re the type of person who loves going through images of modern homes, it can be tough coming back to reality, especially if you live in an old house. While you may not have the resources to pay for a brand new, modern home at the moment, the following tips will help you to fix up the house you already have. Modern design is always streamlined and minimalistic. It’s the ultimate expression of how less can be more. Even though a modern room may not have the most pillows, fixtures or pictures on the wall, it somehow looks more amazing than any other style could achieve. So there’s where you can start on your quest to achieve modern design. Pick a room and think about what can go. If it looks busy, get to the root of the problem and then get rid of it. We’re not suggesting you throw away family heirlooms, per se, but obviously, you can’t have a modern home with reminders of yesteryear all over the place. For a lot of homeowners, this is a blessing in disguise. You might find that you own all kinds of things you’d be better off just selling at a garage sale or donating. 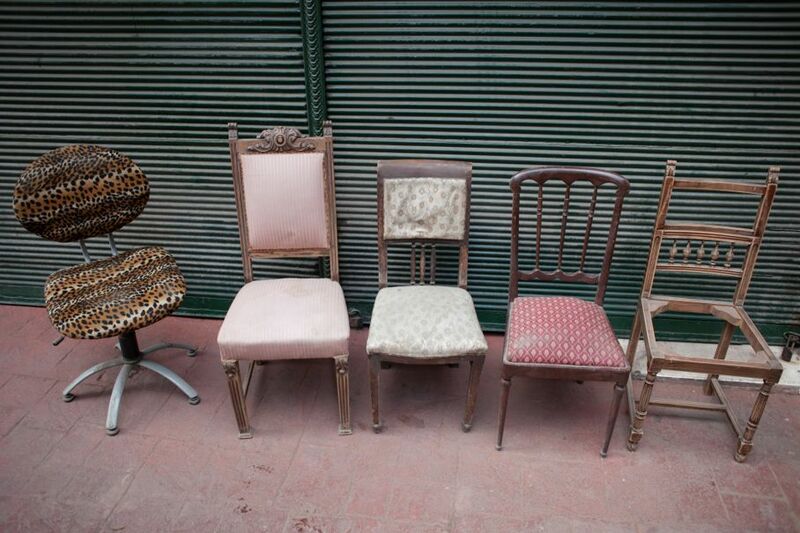 Whatever the case, don’t be surprised if you feel a real sense of relief once you get rid of your older pieces. 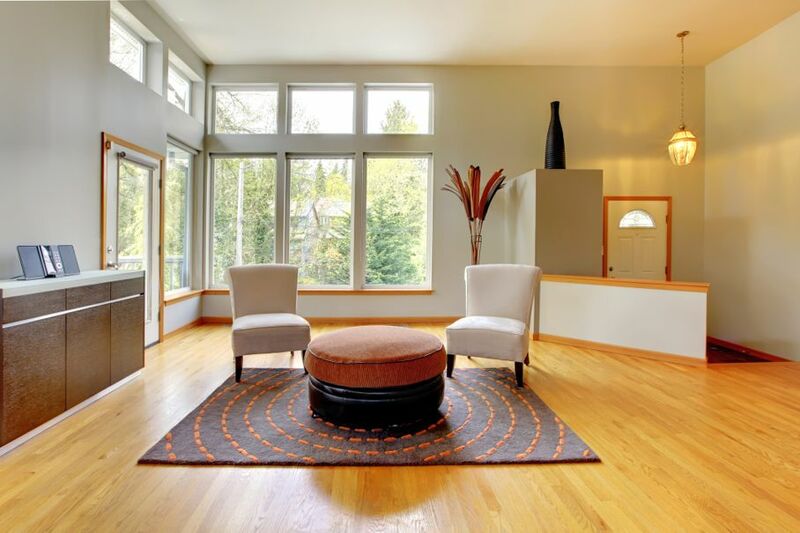 If you do decide to sell some of your things, though, it will only serve to pad your budget and give you more options for modernizing your house. 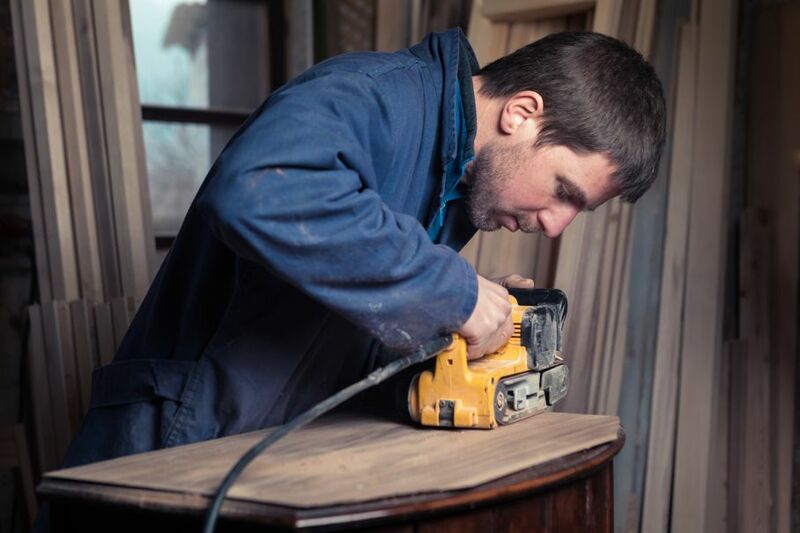 Refurbishing your older pieces is a great way to get a new, modern look throughout your home without having to drop a small fortune at the furniture store. If you’ve never refurbished anything before, don’t let the idea intimidate you. It could mean something as simple as sanding the paint off an old dresser, repainting it and applying a stain. As soon as you do it once, you’ll be excited about the opportunity to do it again and again. Then it won’t be long before you’ll have modern looking furniture in every room of your home. Modern architecture employs very different means for lighting rooms than more traditional options. Simple fixtures are always your best bet, meaning no bells and whistles and monochromatic colors (if any—you can’t go wrong with white, black or none at all). 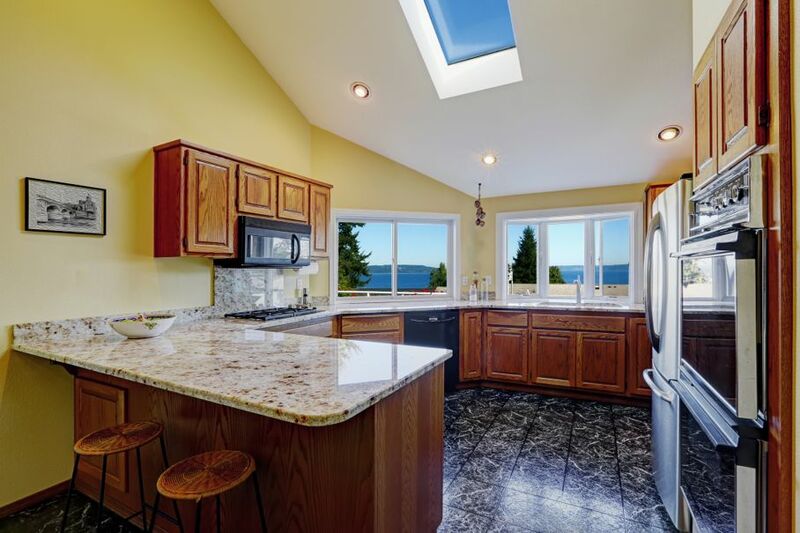 Down the line, if you get a little room in your budget, skylights and solar tubes are a great way to illuminate your home in a fun, modern way. Not only will the result look great, but it will also save you money too. 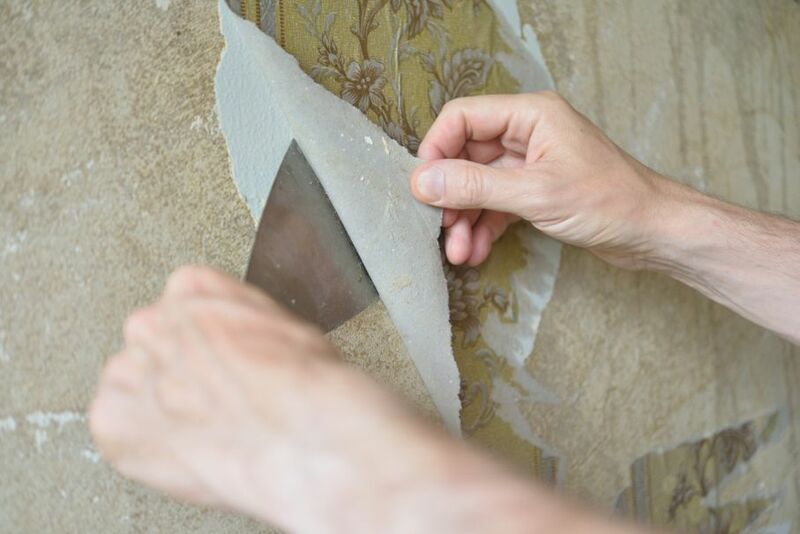 Few things date a home like old wallpaper can. That’s not to say all wallpaper is bad, but if you want a modern look, it’s best to get rid of it. Paint is extremely affordable too. You’ll have to spend some time painting the walls in your home, but the results will be stunning. Although you may eventually want to get through the entire home, chances are, you’ll need to begin with one room at a time. Unless you have a room that is desperately in need of some modernization, make the kitchen your priority. Generally speaking, that’s the one you and your family spend the most time in. On top of that, it’s also the one your guests probably see the most too. There are all kinds of affordable ways to update your kitchen. 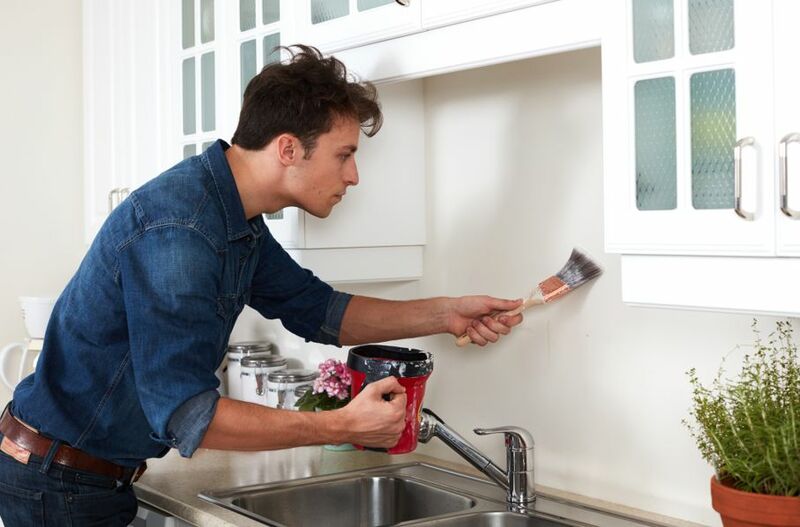 You could start with your appliances or simply give it a new coat of paint. Granted, remodeling your kitchen is a project that can quickly take on a mind of its own, but taking small, cost-effective steps can also make a huge difference. If you love modern design and architecture, you may have long ago resigned yourself to the fact that it would simply never be something you’d see in your own home because of price. Fortunately, as we’ve just shown, there are all kinds of ways you can add modern appeal to your home and get the style you love so much. It won’t cost much more than time and energy on your end.